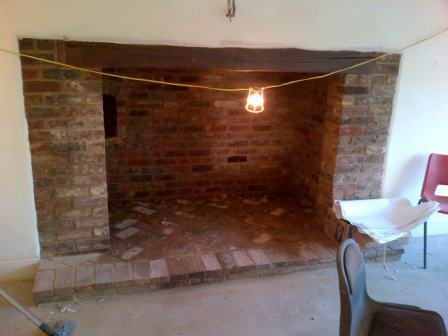 This was a great installation of a Vermont Resolute Acclaim stove in biscuit enamel. 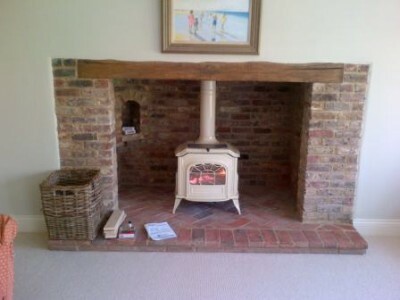 The Vermont stove sits perfectly in the inglenook opening and performs brilliantly. The large single door offers an excellent view of the fire. In addition it is equipped with an air wash system which helps keep the glass clean during operation. This stove is top loading. You can load plenty of wood into the stove safely, and wood can also be loaded through the front. Finally, the top plate doubles up as a cooking surface to boil a kettle on, warm through a casserole or even warm bread through on! 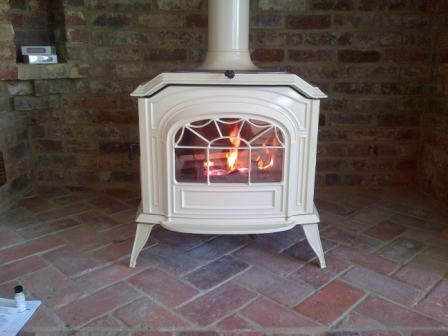 For more information about Vermont stoves, contact The Billington Partnership.